While some vacationers choose to tour beautiful Yosemite National Park by car and others bring their motor home, the more adventurous travelers take an exhilarating Yosemite motorcycle tour. Featuring four classes of motorcycles for rent, as well as a $99 per day deal on some Harley-Davidson models. At EagleRider, you don't just rent a motorcycle, you lease a "whole new riding experience." 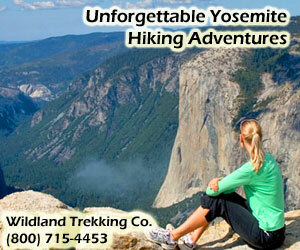 Experience breathtaking scenery with an experienced guide. Our guide service provides scenic routes into the Lake Tahoe and surrounding areas within the Sierra Nevada Mountain regions. Are You Ready to Ride? 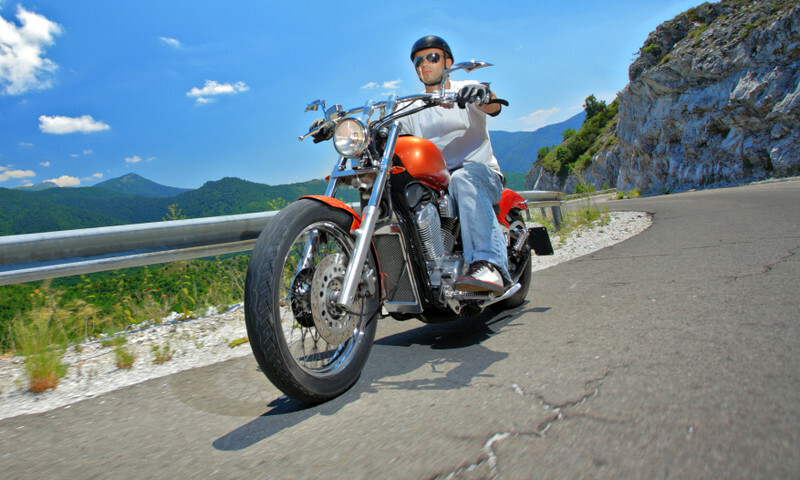 Pashnit Motorcycle Tours offer various riding tours of some of California's most exciting roads. Use your own bike or rent one for the event. Yosemite National Park is a sight to behold, no matter how you get there or how you make your way around the park. For motorcycle aficionados, however, a Yosemite motorcycle tour through this awesome national park is the only way to go. Such tours allow riders to get up close and personal with the park’s amazing natural beauty. Driving through Yosemite Valley on a scenic loop is a great way to see the park’s most famous views. Although fairly crowded, this drive is a must-do when in the park. With a number of sights to stop to see along this lovely road, it’s worth the time it takes to make the Big Oak Flat Road journey. Driving on El Portal Road takes you along the Merced River and through the Merced River Canyon. In the spring you’ll have to stop and enjoy the array of wildflowers blooming along the canyon walls. This drive takes you from the southern entrance of the park all the way to the Yosemite Valley. You’ll want to stop and see the Mariposa Grove of Giant Sequoias and perhaps the Pioneer History Center in Wawona. Tioga Road moves you through the park from west to east (or vice versa), and over the Tioga Pass. This is likely the most scenic of all drives through the park. In Yosemite, motorcycles often travel the Hetch Hetchy Road to the end with their owners in awe of the scenery the whole way. You’ll eventually come to the Hetch Hetchy Reservoir created by the O’Shaughnessy Dam. You should park at the dam and hike to see some incredible waterfalls. South of Yosemite Valley, take Glacier Point Road out to Glacier Point, where you’ll find spectacular views of the valley. All along the way are spots to stop and stretch and hike around. Driving past meadows and forests, below the towering peaks, you’ll find some unique sights to take in along the way on this scenic drive, such as Mammoth Pool and the Mile High Vista. Moving through the Stanislaus National Forest, from Sonora to Bridgeport, motorcyclists enjoy the breathtaking scenery and stop to hike to the Columns of the Giants for a little break. A mountainous highway across Ebbetts Pass, this famous drive is something you can’t pass up when touring the Sierra Nevada Mountains. Take this drive from the southern entrance of Yosemite National Park to Oakhurst, California. Stop to enjoy the many activities along the way, such as fishing in Bass Lake or riding the Sugar Pine Railroad. If you like to see how the Gold Rush Days were and to see historic towns among the foothills of the Sierras, you will really love this 100-mile drive of incredible scenic beauty. This highway runs from Oakhurst to Vinton near Frenchman Lake. 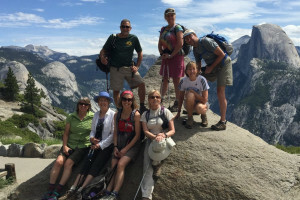 Touring from Yosemite and El Portal to Mariposa California is a great way to spend a day, stopping along the route to enjoy some hiking or rafting in Stanislaus National Forest. For exciting Yosemite motorcycle tours or convenient Yosemite motorcycle rentals, browse the listings on this page for outfitters who will help you get the most out of your visit to the Sierra Nevada Mountains.